To the left of Rubis sur l'Ongle, with the big hole for your feet. 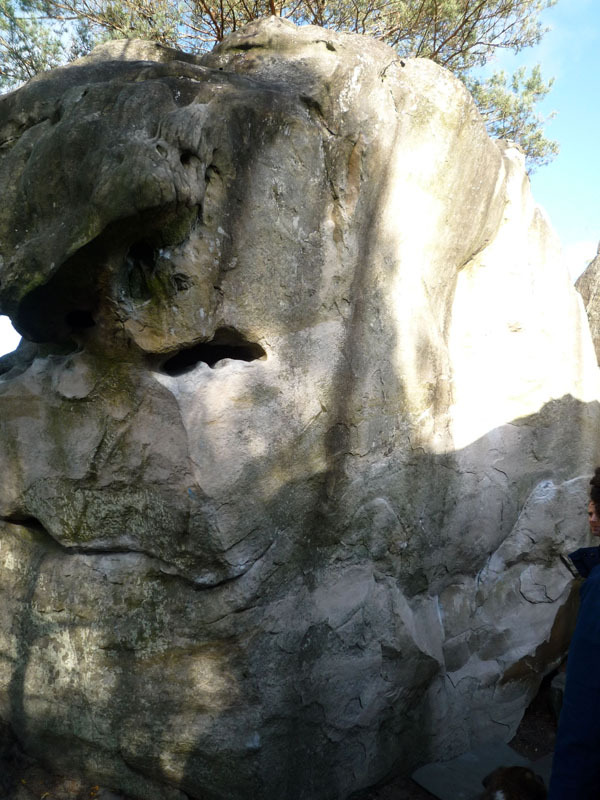 NB: this boulder, exposed to the South (and recommended for cold seasons), has had a broken hold at the start (February 2011). However, the problem has been realized again by Manuel Marquès with approximately the same grade in February 2013.